- See more at: http://blogtimenow.com/blogging/automatically-redirect-blogger-blog-another-blog-website/#sthash.s1ipfCM1.dpuf CatholicTV: "Who Cares About the Saints?" 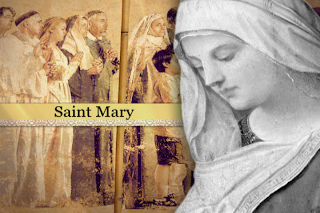 The month of May is dedicated to Mary. Be sure and watch "Who Cares About the Saints" hosted by Father James Martin, S.J. . Father Martin is the author of My Life with the Saints which introduces readers to his favorite saints. The video version consists of short clips which give you a glimpse into the lives of the saints through artwork and Father Jim's insights.